After the shooting, Kennedy was rushed to Parkland Memorial Hospital, where he was pronounced dead. According to Texas state law, the President’s body was not allowed to be taken from the hospital until after an autopsy had been entirely performed. However, the Secret Service chose to ignore this, taking the body straight to the airport and securing it on board Air Force One. According to Charles Crenshaw, a doctor at Parkland, this led to a heated confrontation between Secret Service agents and Dallas Chief of Forensic Pathology Earl Rose, during which the agents displayed their guns menacingly. The Pulitzer Prize-winning author Anthony Summers has claimed that the sidearms were actually drawn and Dr. Rose and others forced against a wall while the body was taken away, although Crenshaw does not mention this. The body was flown to Maryland’s Bethesda Naval Hospital, where an autopsy was finally carried out. Secret Service agents Roy Kellerman, William Greer, and John O’Leary were all present during the autopsy. According to proponents of the accident theory, the Secret Service might have been desperately trying to hide something, and it might have been the trajectory of the bullet through the head. An autopsy performed in Texas, not under their auspices, could easily have determined whether the bullet struck from right to left or left to right, and whether it came from an elevation of 16 degrees or the same elevation. Why would the Secret Service, of all organizations, refuse to let the Parkland Memorial Hospital’s professional surgeons perform the autopsy? Could Oswald really have fired the fatal shot? 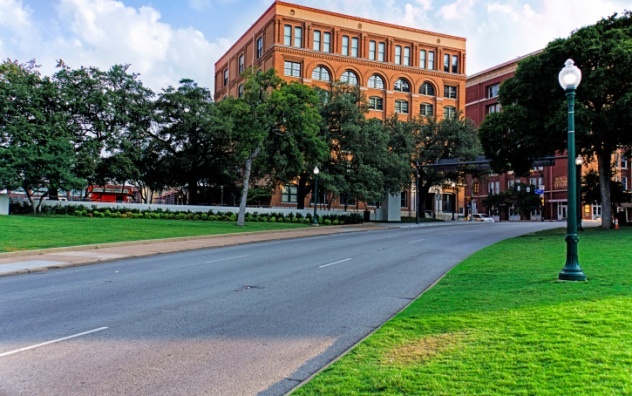 The Warren Commission estimated the distances from Oswald’s firing position in the Book Depository to Kennedy’s seat in the limousine as 53 meters (175 ft), 75 meters (240 ft), and 80 meters (265 feet) for each of the three shots heard. The last shot is generally accepted as the fatal headshot, but the HSCA gives the placement of Kennedy’s head entrance wound as 10 centimeters (3.9 in) above the external occipital protuberance and 1.8 cm (0.7 in) to the right of the midline. The exit wound was found to be 11 cm (4.3 in) in front of the entrance wound, 1 cm (0.4 in) below it, and 5.6 cm (2.2 in) right of midline, near the right temple. Given his position from the 6th floor corner window of the Texas School Book Depository, this casts some doubt on Oswald firing the headshot. 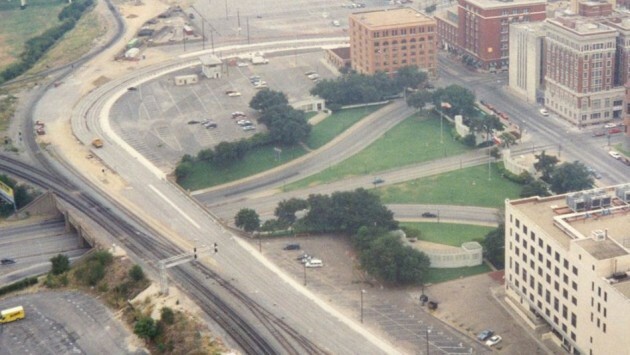 A computer rendering of a line drawn through the two head wounds and extending behind the target intersects the Dal-Tex Building, behind the Depository. This does not necessarily prove or disprove anything, since the position of the President’s head is very difficult to determine. But it does allow the possibility that Hickey’s rifle was the source of the shot. Oswald’s rifle might also have been the source. A gunman on the famous grassy knoll does seem unlikely, since the wound in the rear of Kennedy’s head would have been larger and less neat if it were the exit wound.